A trip to Turkey wouldn’t be complete without a visit to a Turkish carpet factory and if you are on any day tours, rest assured that it will most likely already been factored into the itinerary. This is similarly the case for our 2D1N Ephesus-Pamukkale tour from Fethiye. Here in these factories, you will get a glimpse of traditional Turkish carpet-making from its very beginning pre-production (when the silk threads are extracted from the silkworm cocoons) to the near-completion of the carpet where you will see rows of hard-working Turkish ladies weaving furiously at the carpets – further emphasising the fact that these carpets are handwoven (thus the corresponding higher price!). 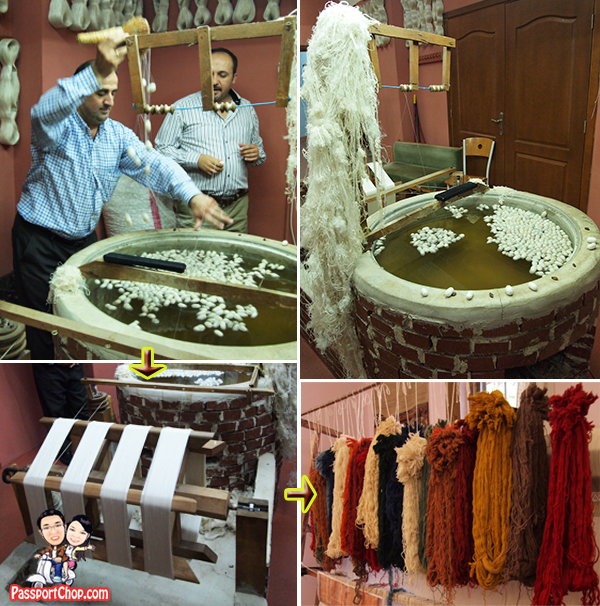 Even if you are not planning to buy anything, you will be surprised by how much you can learn from such a tour – there is no better way to learn about how silk threads are made then from a hands-on demonstration and how it eventually leads on to become different color threads through various dyeing processes. 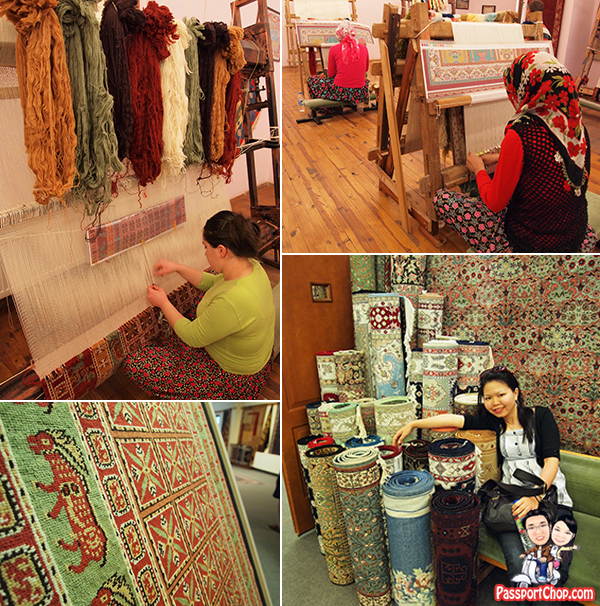 Another part of the factory showcases how these threads are woven into intricately-designed, elaborate carpets. Each of these carpets can take more than months of painstaking work to complete and this is possible only with expert weavers like the ladies below – their hands are so quick that even the guide have to ask them to slow down so as to show the group how they did it.